Based in Australia, the client is a retailing legend known for selling quality products at low prices. The client wanted a seamless e-commerce system in place for providing enhanced digital customer experience and ensuring increased loyalty. The customer’s complex business requirements meant that the solution should be customizable and flexible. 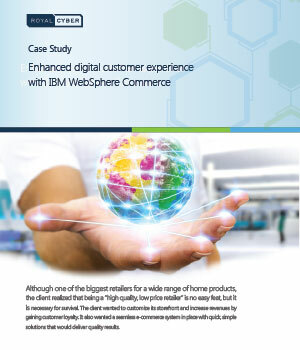 With IBM solution, the client enhanced its digital marketing capabilities, enabling it to drive incremental sales powered by new social-networking and analytics capabilities.